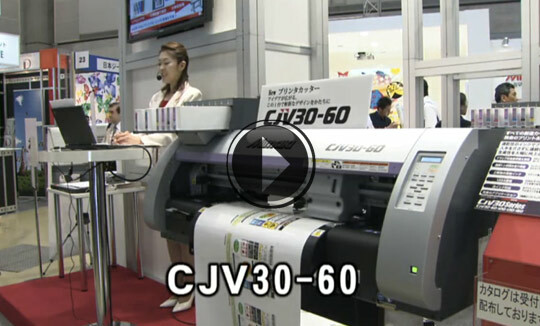 High quality seals, labels, stickers, A1 posters, promotional prints, and point of purchase displays, transfers for T-shirts and more. Available in 3 models ; 60 , 130 & 160 inch. Fast delivery. 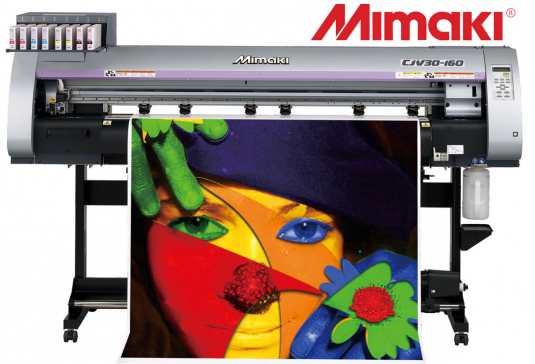 Tags: digital print, Mimaki CJV30. 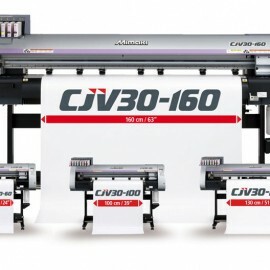 Mimaki has further expanded its award winning sign and graphics systems with the CJV30 Series of unique integrated print and cut solutions – with 4 print widths available, providing even greater flexibility for end-users from retailers and copy shops to professional signmakers and print service providers. window decoration, floor signage and more. BS2 ink is available in 600 ml replaceable ink packs.